already provide. Sometimes people come in and they don’t want the entire big arrangement, but they want our fruit,” says Vaughan storeowner Tiziana Cannella. The benefit of sipping on an Edible To Go smoothie lies in its ingredients: it is prepared with fresh fruit, sweetened with agave, and does not contain any frozen products. “A lot of places sell smoothies, but we offer fresh fruit smoothies,” says Cannella. 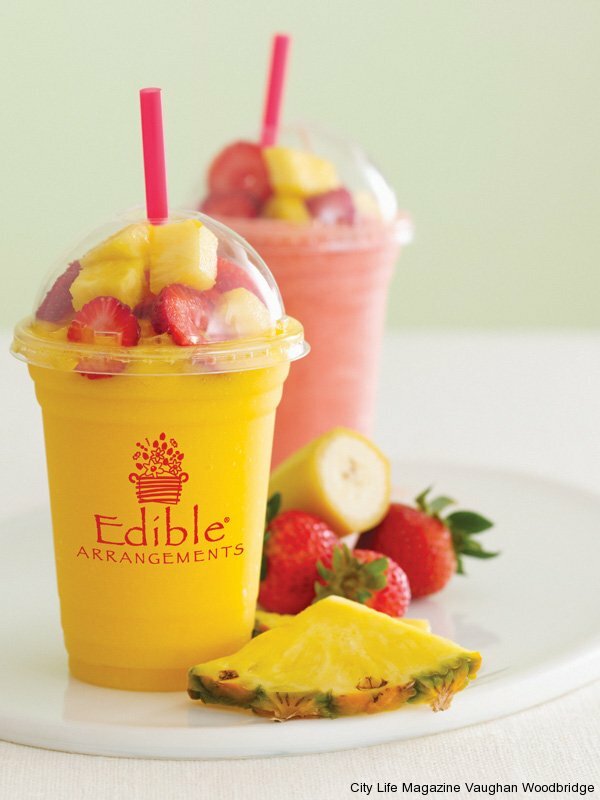 With a storefront refreshed from a recent renovation, Edible Arrangements will be serving clients with healthy choices and fast service. Bursting with nutritional value, the new products will live up to the standards of the 13-year-old brand. 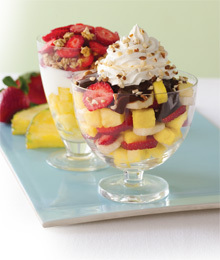 “Our fruit experts can open up a fruit and just by looking at it, are able to tell whether it is good enough to be included in one of our arrangements.” Using the same quality of fruit that they use in their baskets, the Vaughan location will create fruit salads of various sizes to accommodate one person or a family picnic. 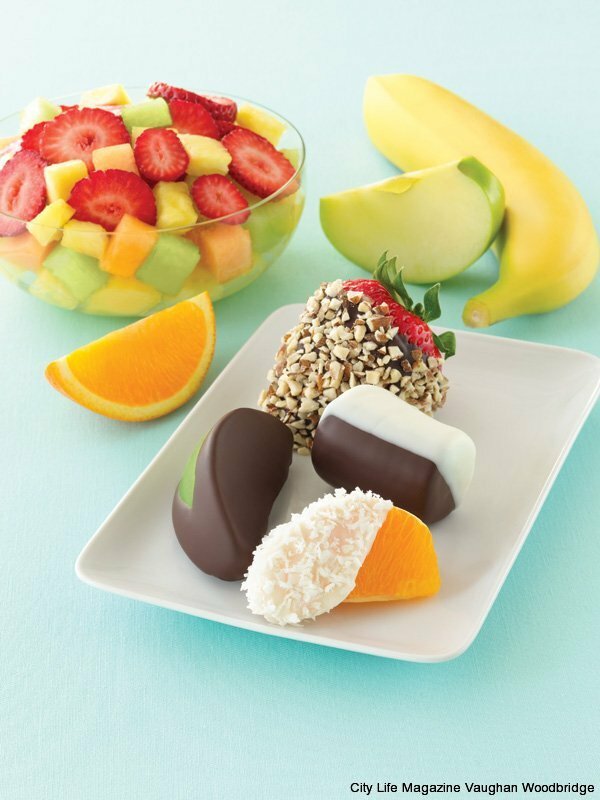 There’s nothing better than a refreshing snack that is also beautifully arranged. 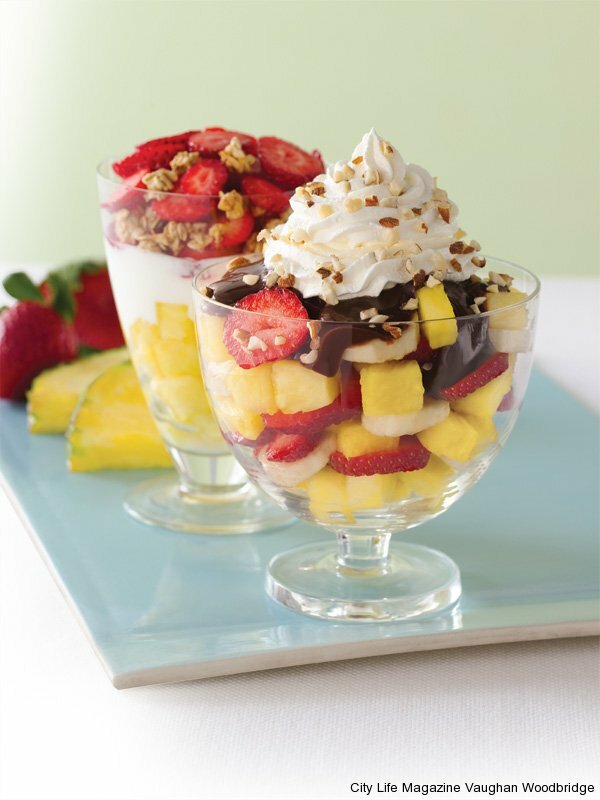 Colourful fruits in grand arrangements complement summer parties, while fresh fruit smoothies and parfaits on-the-go give you one more reason to visit the impressive Edible Arrangements location in Vaughan.